Generally speaking, TCM as a time honored medical system that has been proven to be effective and safe, has effective means to deal with any situations in health care. Naturally it has its own strengths and weaknesses. In China, one would go for “western medicine” with acute diseases and to TCM treatment with non acute problems. TCM has is very resourceful in treating difficult and complicated cases due to its special ways of diagnosis and wholistic considerations and individualized treatment. In cases of impotence, night emissions, sperm inadequacy, dead sperm, frigidity, neurotic symptoms, facial paralysis, numbness, hair loss, rheumatism, psoriasis, vitiligo, etc, TCM can often work wonders. Recently TCM has created several formulas to deal with side effects of chemo and radiation which, together with some cancer formulas, have effectively protected the patients after operation, improving their quality of life and helping recuperation, sometimes reversing the course and cured the patients. Conventional medicine relies heavily in patient’s narration for diagnosis. It is very difficult in case of children. TCM’s unique system of diagnosis, may quickly determine the problem. It may be even better if combined with modern biomedical analysis. The non-invasive and low toxic treatment offered by TCM has proven to be both effective and safe. It often happens that the patients feel something is wrong with them, but modern biomedical equipment and analytical method fail to find the real problem. This is when patients in China and other eastern Asian countries go to TCM doctors, and this is often done with the encouragement from conventional doctors. If you feel weak, having night sweat, ringing in the ear, numbness in limbs, bloating with constipation, loosing bowels, frequent urination especially during the night, severe thirst, congestion, restlessness, depression, fatigue, dizziness with blurred vision, insomnia and poor memory, probably you should try to see a TCM doctor and get some TCM formulas. Using natural remedies is one of the special features of TCM. Those who are allergic to conventional drugs or suffer too much side effects from medication, may go to a TCM doctor or herbalist to find an alternative way of dealing with your health problems. Sometimes the TCM doctor or herbalist may just recommend some special food for your health concerns. The wholistic TCM pays a lot of attention to the relationship among different body systems and tries to achieve healthy balance between them. This is very important to chronic diseases especially with older patients, such as hepatitis, nephritis, bronchitis, colitis, gastritis, pulmonary emphysema, anemia, diabetics, altheimer’s . Generally speaking, TCM is quite good at digestive, endocrinopathy, nervous and coronary cardiovascular problems. 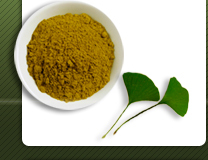 The wholistic and nutrition oriented TCM is an excellent resource for recuperation after major diseases or operation. It is especially effective to help the patient to regain healthy biological balance, making the recovery faster and steady. With TCM the feeling of weakness, poor appetite, insomnia, indigestion, night sweat, low fever, etc. can disappear completely.